There are plenty of ways to celebrate the father in our lives. Once my children were old enough to make their own decisions they decided not to take the traditional route of gifting a necktie, but to give their father what he wants most, time with his children. 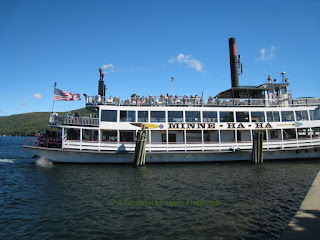 Saranac Lake, Ticonderoga, Long Lake, Keene, Plattsburgh, Old Forge, and Lake George are just a few places hosting special events and activities celebrating the men in our lives. Plattsburgh is celebrating its annual FREE Adirondack Coast Museum Day. With over 17 museums and cultural institutions providing free admission to the whole family, finding a place to take Dad for Father's Day is a breeze. 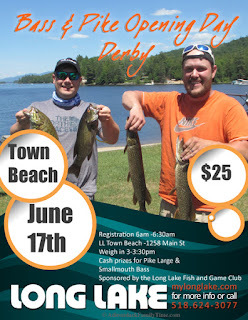 The Long Lake Fish and Game Club is hosting the annual fishing derby on the shores of Long Lake Town Beach on Saturday, June 17. The Bass and Pike Fishing Derby is open to everyone. Registration is $25 with the event open for registration at 6 am and fishing from 6:30 am – 3 pm with cash prizes for Pike, Largemouth and Smallmouth Bass. Only fish that are caught in Long Lake are eligible. According to Long Lake Fish and Game Club Organizer Bruce Jennings the event specifically aligns with the opening of Bass and Pike season. Since this event is more celebratory in nature the rules are "more loose set-up instead of a strict fishing derby. The Catch and Release event takes place at Long Lake Town Beach. People do not need boats to participate. Jennings sees people casting close to the beach and along the causeway each year. There will also be an open house at the LL Fish and Game Club featuring live music, food, and other activities. 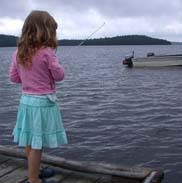 In Saranac Lake, the SL Fish and Game Club's Annual Father's Day Fishing Derby is a free event open to all children ages 16 and under that do not require a fishing license. Parents, guardians and caregivers can assist the children, but prizes are awarded for the top two winners in each category. The event takes place at Lake Colby Beach, Saranac Lake from 8 am to noon on June 18. The same day, June 18, in conjunction with the opening of the Keene Valley Farmers Market, the East Branch Friends of the Arts Kite Fest takes place at Marcy Field. 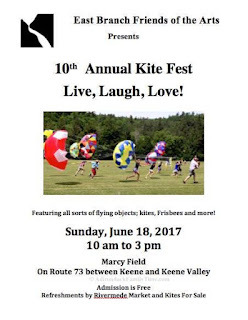 You can fly your own kite in honor of Father's Day or purchase a kite from the Keene Central School in support of their 2019 trip to Ireland and England. Food will be available by Rivermede Market. In Ticonderoga the summer professional fishing tournaments are underway. Spectators are welcome to come watch these masters at work. The Greenbush bass Tournament will be held on June 18 at the Ticonderoga Boat Basin. 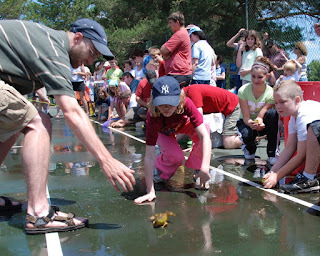 Old Forge Frog Jumping Contest. The most unusual event goes to Old Forge, NY. The annual Outrageous Necktie and Frog Jumping contest takes place annually at the Old Forge waterfront. According to the Town of Webb Publicity Director Mike Farmer, the Old Forge Frog Jumping and Ugly Tie Contest is about as nontraditional as one can get. For the past 45 years Old Forge has been the gathering spot for longest jumping frogs in the area. 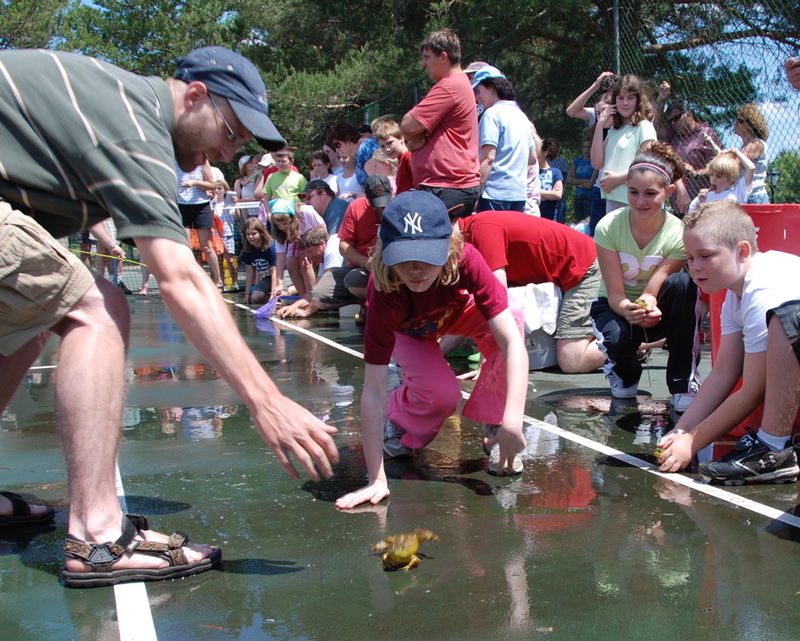 This event pits frog against frog in a series of categories like size, speed and longest jump. Friday and Saturday, June 16 and 17 is the Old Forge Father’s Weekend Car Show. With over 20 classes in three categories, the show kicks off with a Friday evening parade that will showcase everything from those original 1900s vehicles to the flashier modern cars. The parade will start on Main Street and end up at the Hiltebrant Recreation Center Field on North Street. Saturday’s main attraction is the Car Show and Auto Swap from 9 am – 3 pm. The cars will be judged and the winners will receive cash prizes. Refreshments will be available for purchase. In Lake George, all fathers can cruise aboard any of the Lake George Steamboat Companies boat rides for free on June 18. (If I've missed a particular Father's Day event, please let me know so i can add it to the weekend schedule as well as this post!) Enjoy!